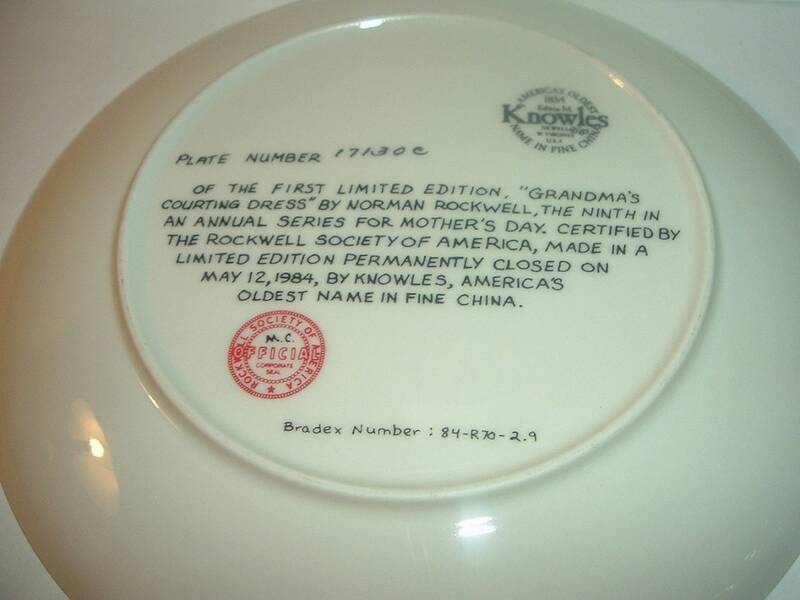 This 1984 Norman Rockwell, Edwin Knowles Mother's Day "Grandma's Courting Dress" plate measures approx. 8.5" across. 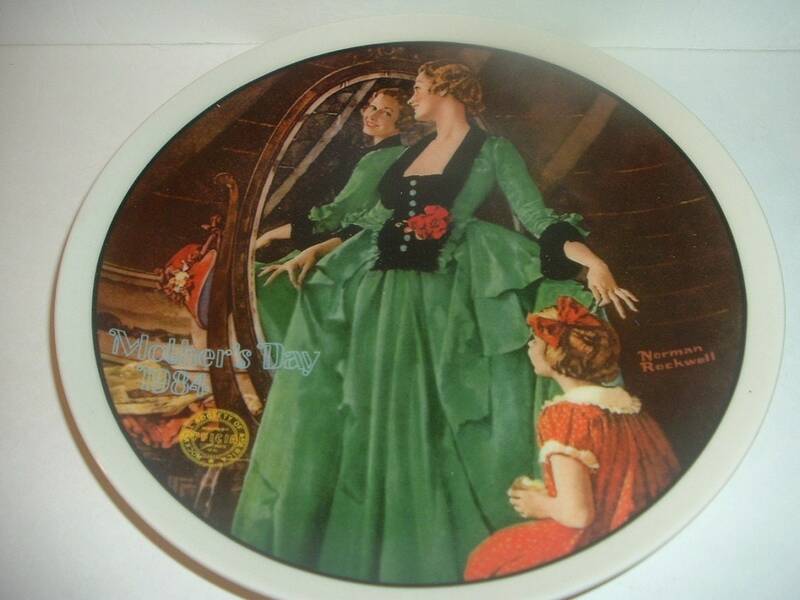 It is excellent, with no chips, no cracks, and no wear or scratching. No box or paperwork with this one. Nice! I gladly combine shipping.